°C and C are not the same! Sometimes one has to write to the papers! Sometimes I am unable to stop myself writing to the papers. Some issues – such as people not using measurement units correctly – are just too important to let pass. And people referring to temperature units incorrectly induces apoplexy! For the record, the degree Celsius is an SI unit for temperature: the degrees C********e and F********t are not. Their use in everyday language is understandable – many people use the F-word occasionally – and in the correct context, it gives no offence. But for newspapers and media outlets to do so is outrageous! And using the abbreviation C instead of °C is just wrong. The measurement system that underpins all of our physical measurements of the world around us is called the International System of Units, widely referred to as ‘the SI’. It is a staggering achievement, used daily by hundreds of thousands of scientists and engineers. It provides a standard way of comparing measurements around the globe and of referring to those measurements. So why has The Guardian invented its own system of units? To refer to a temperature of 25 degrees Celsius, the standard abbreviation is 25 °C. However The Guardian routinely refers to this as 25C, using the symbol ‘C’ which refers to the SI ‘coulomb’, an amount of electric charge. Why? You might argue that your meaning is clear in context. And generally it is. But why be wrong when you can be right so easily? P.S. In MS Windows™ systems, the degree symbol is [ALT] + 2 + 4 + 8 on the number keypad and in MacOS the degree symbol is [ALT] + [SHIFT] + 8. In iOS, on numeric keypad use a long press on the zero key to reveal the degree symbol. P.P.S. There should also be a space between the number and its unit, but I didn’t want to mention that in case you thought I was being pedantic. More seriously, reporting measurements in the correct units aids clarity of understanding and establishes the basic competence of the author. merely establishes that the writer knows nothing about measurements. This is not a matter of style, it’s a matter of just being wrong. Summer Science: 155 days to go! 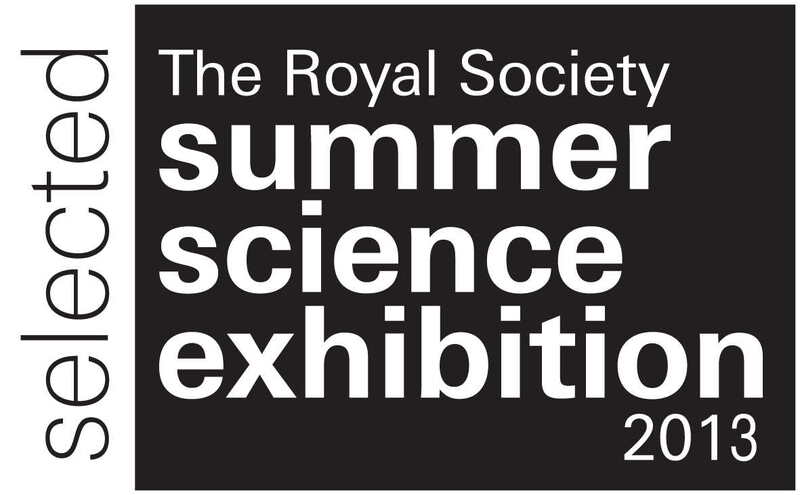 My work has been selected for the Royal Society’s Summer Science Exhibition! Just before Christmas I heard that I had been successful in bidding for a stand at the prestigious Royal Society Summer Science Exhibition. Competition is stiff with 75% of the proposals being rejected so somebody must think what I am doing is interesting! Wow! Of course its not just me doing this and its not just about my work. It’s really about NPL and the importance of measurement to the country. And the reason we won a place is largely down to the enthusiasm of my colleague Andrew Hanson. Today – along with Andrew and the other winners – I visited the Royal Society in London to be briefed on what we need to do. Having visited last year’s exhibition both as a visitor and as a helper at an NPL exhibit on bubbles, I knew that the task ahead would be exhausting. After being briefed on the design of the stand; online video and blogging; press interactions; school visits and official ‘soirees’, I left buzzing with ideas and anxiety. 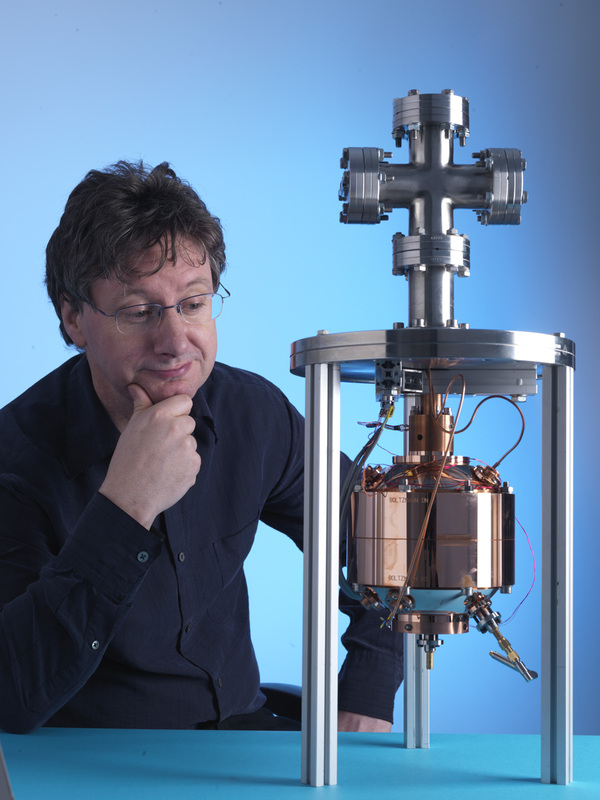 We are actually combining stands with Terry Quinn and Richard Davies from the BIPM, who will bring along a ‘Do it yourself’ replacement for the kilogram. Terry and his grandson have made a model with wood, lego and a loudspeaker which is accurate to about 10%, but which demonstrates the principles of a much more complex, expensive and accurate device. 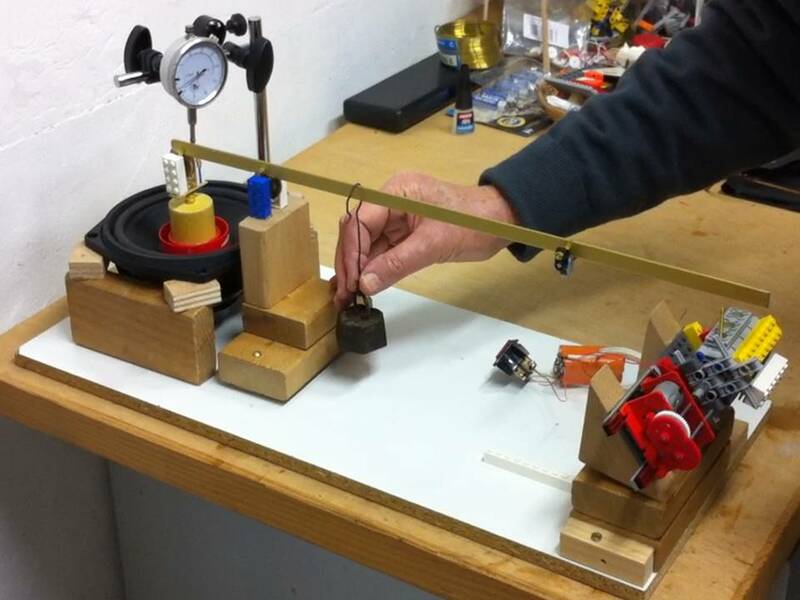 Terry Quinn and his nephew have built a simple version of a Watt Balance – a revolutionary way of measuring mass! The device operates unlike almost every mass measurement made at present. Currently a mass measurement is – ultimately – a determination of the ratio of the unknown mass to the mass of the International Prototype Kilogram – the IPK. Terry’s device – called a ‘Watt Balance’ – measures mass without any reference to the IPK! Despite being very cheap – the mass measurement is made by comparing the force of gravity with an electro-magnetic force. It is – ultimately – a comparison of a mass against electrical standards which we can determine in terms of constants of nature. Similarly my exhibit is about a thermometer that measures the speed of sound in a gas, which allows us to work out the average speed of molecules. So we can measure temperature directly in terms of the kinetic energy of molecules. This is unlike any temperature measurement made at the moment. Currently a temperature measurement tells you how much hotter or colder a thing is than the temperature of the triple point of water. Me and my thermometer. It measures temperature in terms of the kinetic energy of molecules inside the copper container. So the theme of the stand will be about measurements in everyday life being traceable to constants of nature rather than human artefacts. I love this idea – the transcendental and profound embedded into the mundane tasks of life. But what should we call the stand? Here are some ideas we are kicking around. Please vote – or suggest a new idea! Anyway, I look forward to seeing you between the 2nd and the 7th July – it’s free! The World Standards Day Poster. 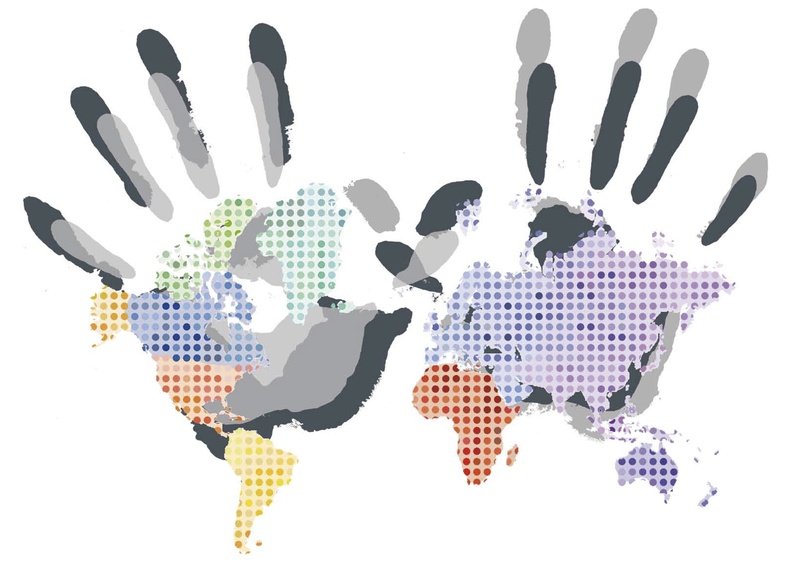 A Universal Language – a language that would allow genuine communication among all of humanity – has been a dream for as long as languages have existed. For spoken language, I suspect that this will remain a dream, and indeed the diversity of language is probably a cause for celebration. Scientifically, English is undoubtedly the current lingua franca, but scientists in many countries publish their findings in other languages, notably Russian, Chinese, French and German. However, when it comes to scientific measurement, there is an amazing and near universal agreement: the International System of Units – the SI – is the agreed system of measurement units amongst almost all the scientists in almost every country on Earth. Just like a spoken language, the shared use of the language of measurement enables communication and indicates the existence of shared culture. I am writing this because this is a truly remarkable achievement which is largely uncommented upon. Despite the astonishing diversity of languages and cultures, there is almost universal use of the SI system of units when scientists communicate their results. To be sure, there are still exceptions. Many subgroups of scientists value their own group culture above the ability to communicate universally. Typically they say they find their familiar units ‘more convenient’ or ‘more natural’. But time is not on their side . Whereas we are all losers when a spoken language is lost, we are all winners when people abandoned the use of angstroms and chose to use nanometres instead. The SI system may appear to be essentially unchanging, but like all ‘languages’ it evolves with the culture it supports. I once spoke with Richard Davis, at that time the Executive Secretary of CCT, about the difference between the SI and the previous systems of units – the CGS system (centimetre – gram – second) and the MKS system (metre-kilogram-second). ‘Basically‘ he said, ‘the SI is the MKS system, but it has people who care about it‘. Measurement may be defined as ‘quantitative comparison of an unknown quantity with a standard quantity’, and practically this requires people to agree about the standard quantities and exactly how they are realised – something which changes with time and technology – and how the comparisons are made. So there is an extensive system of committees which discuss points of detail which affect the minutiae of the measurement system. But the existence of these committees keeps the system of units ‘alive’. Whereas ‘globalisation’ is a contentious issue when it comes to manufacturing and industry, when considering the language of science, there is no doubt in my mind that it is an unequivocally positive process. And I think it is worth pausing, perhaps just for a moment, to reflect that occasionally people can cooperate in a global scale and achieve great things.